Classical music Q&A: Violinist Caroline Goulding talks about what it is like to be a prodigy who is still learning and about making her Madison debut this week at the Wisconsin Union Theater and the University of Wisconsin. At 19, Caroline Goulding is one the youngest and most talented of the many talented young women violinists currently on the concert scene. At 14, she played on the “Today” show and her debut CD (below) for Telarc was nominated for a Grammy in 2010. And this year, she received a prestigious Avery Fisher Career Grant and made her debut at the famous Marlboro Festival in Vermont. What are the special challenges and rewards of starting such an acclaimed professional career so young? How do you keep your playing fresh? I am so fortunate to have had so many wonderful opportunities to share music. I have always strongly believed in the concept of lifelong learning. A musician’s journey is just that: an artistic quest; and remembering this has strongly influenced my development as an artist. Bearing in mind the true purpose of music and the most significant reason of why we do what we do, has kept me musically, emotionally and spiritually grounded. Perhaps the single most important and conscious realization that I have come to is that honesty truly is the best policy (as Benjamin Franklin once asserted) — both in life and art. If one remains true, firstly to the music, and then to oneself as an individual artist, it is impossible to go wrong. 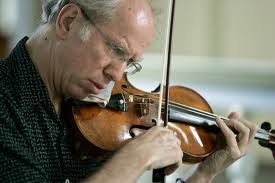 Not too long ago, I read an interview with violinist Gidon Kremer (below) in Strad magazine and one statement in particular greatly resonated with me. He asserted that technical perfection was limited — that the true message of music should take us beyond perfection, and that the essence of music, (or any art form for that matter) lies in the individual expression which is unique to that person and the individual relationship they hold with the music. Mind you, it has also been significant to me to recognize that there is a clear difference between liberty and license – -not only in music also but in life. The artist first holds a responsibility to the composer’s musical intentions, and secondly to his own personal expression and what he can uniquely bring to the piece that is new and fresh and honestly him. True artistry requires a willingness to give one’s total self over to the music; I firmly believe that if one approaches a piece of music and a performance of music with a total honest heart and mind, not only will one become in tune to their own artistic expression and to the composer’s intentions, but the two will intertwine and create a harmonious balance. Finally, I have come to understand that truth transcends beauty, and that it is music that can bring out those rare moments when truth and beauty coincide. What are you current and future career plans and projects, including recordings, concert projects and educational efforts? I recently moved to Boston and am beginning an undergraduate diploma at the New England Conservatory studying with Donald Weilerstein. I am very much enjoying my time in Boston, and studying with Mr. Weilerstein is helping me grow immensely! I am greatly looking forward to my performance schedule and am truly honored to be able to work with so many wonderful musicians this coming season! I will attend Marlboro (bel0w) once again this summer and am planning on recording another CD in the fall of 2012. Introducing classical music to younger future generations and encouraging the younger musical generation to search for and set forth their own unique musical voices is something I find extremely important. I especially enjoy performing for and interacting with kids — whether it is a school setting or a youth orchestra event — and find myself continually re-inspired by my experiences working with them. I hope to continue to play for, work with and inspire the younger audiences whenever possible! Can you talk a bit about the recital program here (Mozart’s Sonata, K. 301, Enescu’s Sonata in A minor, Schumann’s Sonata No. 1, Faure’s Romance and Saint-Saens’ Caprice), and about the Mendelssohn Concerto you will perform here with the UW student orchestra? All of these pieces are close to my heart. The Mendelssohn Violin Concerto in E minor, is a piece that I have had many wonderful opportunities with and is truly one of my favorites in the concerti repertoire. I chose this recital program last spring and debuted with it towards the beginning of this concert season in September. The Sonata No. 3 by Enescu is an especially extraordinary and challenging work to play, due to the unique specificity. Enescu laid out in the score about the Romanian musical language and how he intended the piece to sound. This will be your debut in Madison. Do you have impressions of Madison from other visits or from other musicians? I am greatly looking to playing in Madison! Was there an Aha! 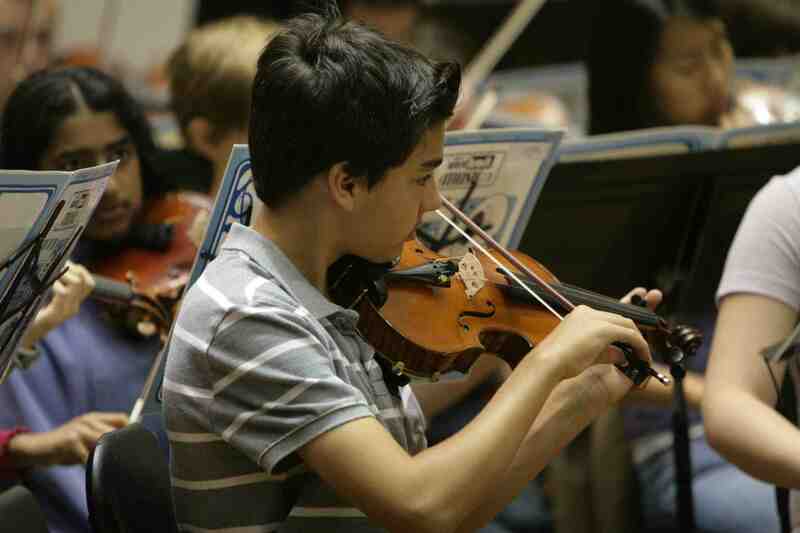 Moment — perhaps a particular piece or performer — when you knew you wanted to become a concert violinist? I am incredibly grateful that my career as laid itself out in such a way that has been a natural and organic progression of events and opportunities. 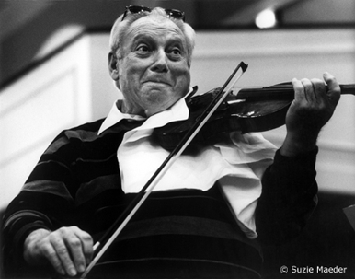 Thus, I have had many “Aha” moments over a period of many years: the moment I first picked up the violin at three-and-a-half and realized disappointingly that it was not in fact a miniature guitar; my first performance of the Bach Double Concerto at age 7 with a hundred other young people and my musical idol of the time, Isaac Stern (below); my first performance ever with orchestra at age 9; my most recent performance with an orchestra just last week; my first chamber music experience and my most recent one; my first summer at Marlboro; my first improvisation class at the New England Conservatory; my first lesson with Mr. Weilerstein. The list is perpetual. I am a lifelong learner, and with this outlook come a constant need and desire for inspiration and continual depth. I have come to understand that there is inspiration around almost every corner — one simply has to open the ears, eyes, heart and mind and take that step around the corner. Classical music Q&A and review: Is Yuja Wang the New Horowitz? In her Carnegie Hall recital debut, she seems the successor to Martha Argerich as both her playing and dress get raves from The New York Times critic Anthony Tommasini. Her stiletto heels and slit skirt might have caught some eyes. But it was her fabulous piano playing of Scriabin, Prokofiev and Liszt that made the Carnegie Hall recital debut of 24-year-old Yuja Wang (below) a noteworthy success this past week. It makes one wonder: Is Yuja Wang the New Horowitz (below)? 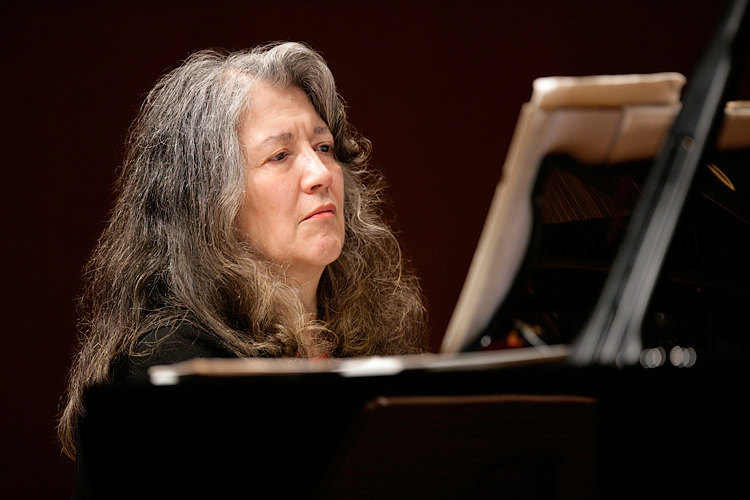 That would an honor she takes over from the fierce but aging Martha Argerich (below), about whom Horowitz himself once said “That lady learned a lot from me.” The comparison seems apt for the virtuosity Wang consistently shows, the repertoire she plays and the breathless receptions she receives. Maybe micro-skirts, stiletto heels and slit gowns are her trademark equivalent of Horowitz’s signature bow ties? 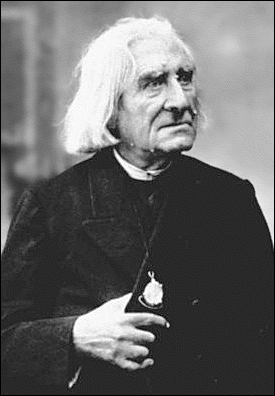 Classical music news: Here is more about Franz Liszt and his 200th birthday from NPR, pianists Leif Ove Andsnes and Stephen Hough, radio hosts Bill McGlaughlin and Miles Hoffman, and others. Can you ever hear too much Liszt? Or too much about Liszt (below)? I don’t think Liszt would say so. After all, in both his personal and professional he was a bit given to extravagance as well as generosity. 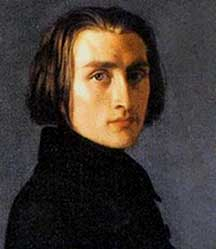 Besides, why not have more Liszt, since last Saturday was – as this blog noted with special posts – his 200th birthday. And why not more, especially when disagreements are involved? Maybe that in itself says something about Liszt: To remain controversial after two centuries is no small feat. Was Liszt a rock star of his day? A great pianist who championed other great composers but was himself a second-rate, or at least not first-rank, composer? 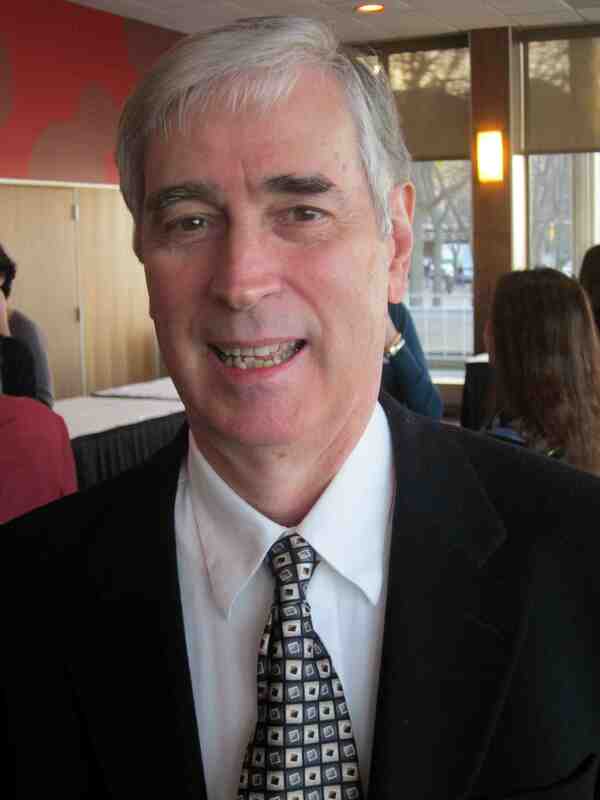 Let me also remind you that McGlaughlin (below) will be the guest speaker for the next Pro Arte Quartet centennial concert on Saturday, Nov. 19, when he will give a free lecture about “The Artist as Distant Early Warning System” at 3 p.m. in Grainger Hall of the UW Business School. A cocktail reception and dinner follow with the Pro Arte give a free concert of Beethoven (Op. 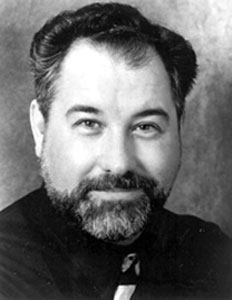 131) as well as the world premiere of American composer Paul Schoenfield’s “Three Rhapsodies” at 8 p.m. in Mills Hall. Save the date!! Did you celebrate his birthday? How? I heard of one smart piano teacher who had his young students gather together for a pizza party. I like that kind of celebration. 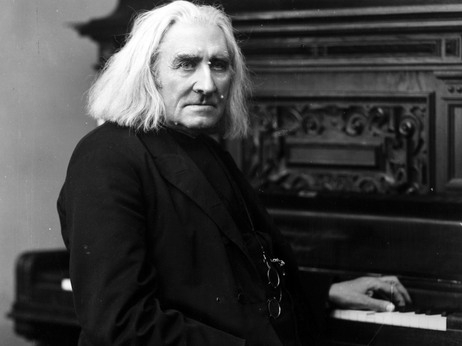 What Liszt piece would you play or listen to to celebrate his 200th birthday? Classical music Q&A: Puccini’s “La Boheme” is a perfect opera, says University of Wisconsin opera director William Farlow. And the chamber music group Con Vivo starts its 10th season tonight with a mostly Mozart concert. 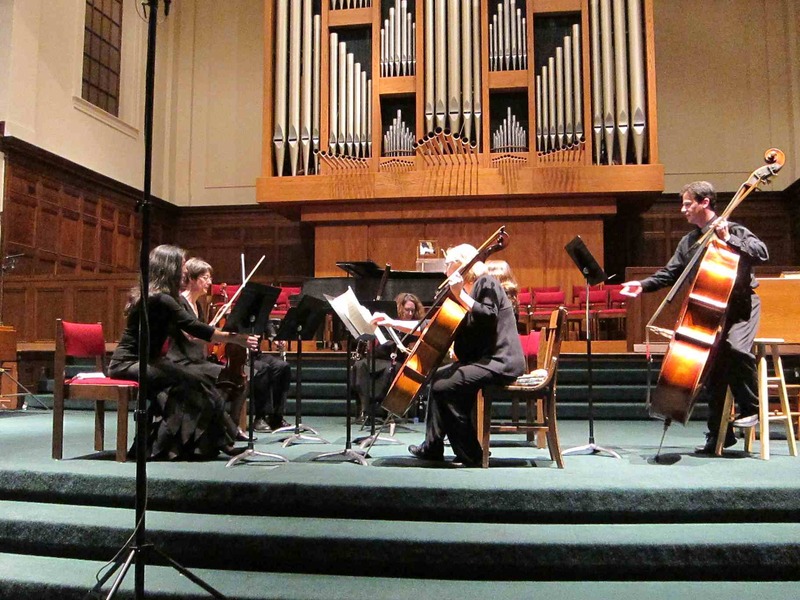 AN ALERT AND APOLOGIES FOR LEAVING AN EVENT OUT OF THE WEDNESDAY DATEBOOK: At 7:30 p.m. in the First Congregational United Church of Christ, 1609 University Ave., across from Camp Randall, the Madison chamber music group Con Vivo! (bel0w) celebrates the start of its its 10th annivesary season. 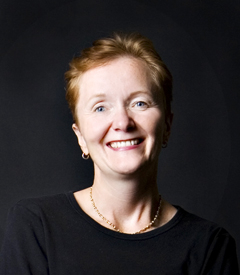 The concert will feature music of Wolfgang Amadeus Mozart and a piece for solo organ by Flor Peeters entitled “Ten Studies for Pedal Playing.” The works by Mozart will include the String Quintet in F Major, K. 515, and the Piano and Wind Quintet in E-flat Major, K. 452. Tickets can be purchased at the door for $12 for adults and $10 for seniors and students. 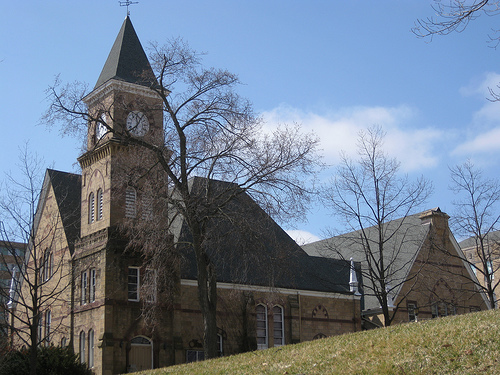 Tonight, Friday, Oct. 28, at 7:30 p.m. in Music Hall (below), University Opera will premiere its production of Puccini’s “La Bohème,” with William Farlow, director, and James Smith, music director and conductor of the UW Symphony Orchestra. 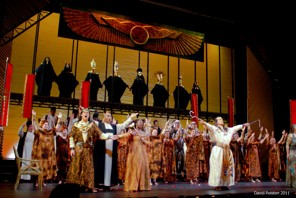 The undergraduate and graduate singers include Shannon Prickett as Mimi, Aldo Perrelli as Rodolfo, Michael Roemer as Marcello, Lindsay Sessing as Musetta, Benjamin Schultz as Colline, John Arnold as Schaunard, Christopher Apfelbach as Benoit/Alcindoro, Josh Sanders as Parpignol, James Held as Customhouse Official and Erik Larson as Sergeant. Additional performances are on Sunday at 3 p.m. and Tuesday at 7:30 p.m.
To purchase tickets ($22/$18/$10), visit the Wisconsin Union Theater Box Office website or call (608) 265-ARTS (2787). In an effort to help patrons find parking on campus, the Campus Arts Ticketing office is offering prepaid parking permits for a guaranteed parking spot on the evenings of ticketed UW arts events for $5. Preorder your permit online at http://arts.wisc.edu/map (5 days or more in advance; $1 handling fee) or call (608)-265-ARTS (3 days or more in advance; $1 handling fee). In your opinion and drawing on your own experience, where do you place “La Boheme” by Puccini (below) in the opera repertoire and why? The music? The plot? The characters? “La Boheme” is always in the top three most often performed operas. It provides a perfect vehicle for singers, conductors, directors and designers. It has always been at the top for a number of reasons — music, libretto and the incredible distillation of youth’s struggles, triumphs, losses and loves. In my opinion, it is a perfect opera. What do you think accounts for the high popularity and long critical esteem of “La Boheme “among both young and old? What makes it so accessible to new opera-goers? We see ourselves onstage — the young because they see their current experiences displayed and the old because they see fantastic scenes from their own youth, both the beautiful and tragic moments. 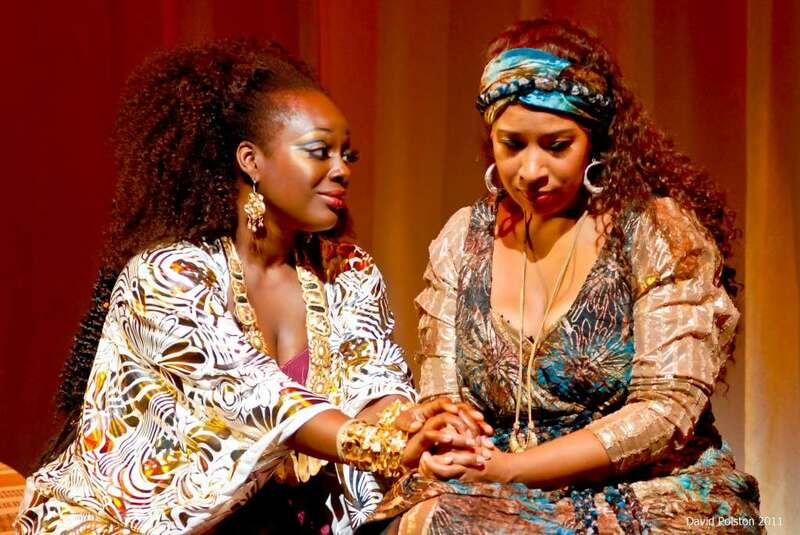 What aspects of this University Opera production of Puccini (below) would you like to draw special attention to? All the singers are age-appropriate for their characters, with the only exception of the young baritone doing Benoit/Alcindoro. Is there more you would like to add about either the production or the work? This will be a beautifully integrated production with singing, acting, conducting, and sets and costumes designs at their highest. 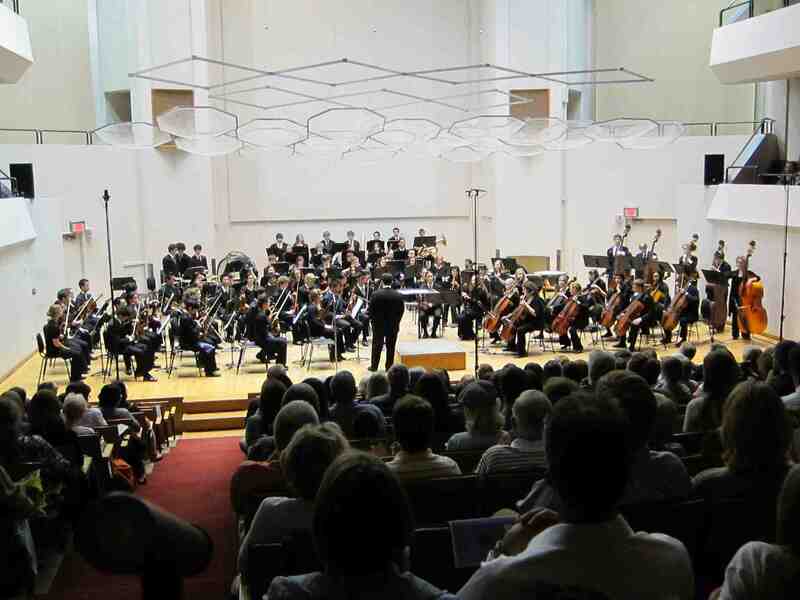 Classical music news: Wisconsin Youth Symphony Orchestras to hold an open rehearsal Saturday morning in Madison at the University of Wisconsin. 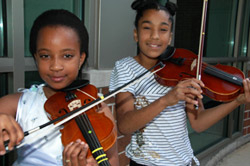 To foster music education, WYSO partners with underserved and disadvantaged children in Music Makers. These are hard times for schools and especially for arts programs, what with all the budget cuts that lead to staff cuts and program cuts. We have all the more reason, then, to support an organization like the Wisconsin Youth Symphony Orchestras and its mission to bring classical music to young people and young people to classical music. On this Saturday, Oct. 29, music students, families, and teachers are invited to come and see what WYSO has to offer at the Fall Open Rehearsal. The event will begin at 10 a.m. with a meet and greet featuring breakfast snacks in the Strelow Lounge of the UW’s Mosse Humanities Building, 455 North Park Street. Guests will be able to talk with WYSO staff and parents of current members, and will get a chance to tour WYSO’s four orchestras in rehearsal. After the tour, guests will have an opportunity to speak with current WYSO members in a Q&A session. Since 1966, WYSO has been providing excellence in musical opportunities for more than 5,000 young people in southern Wisconsin. WYSO includes three full orchestras and a string orchestra, a chamber music program, a harp program, a percussion ensemble, and a brass choir program. The orchestras rehearse on Saturday mornings during the academic year, perform three to four public concerts per season, and tour regionally, nationally and internationally. 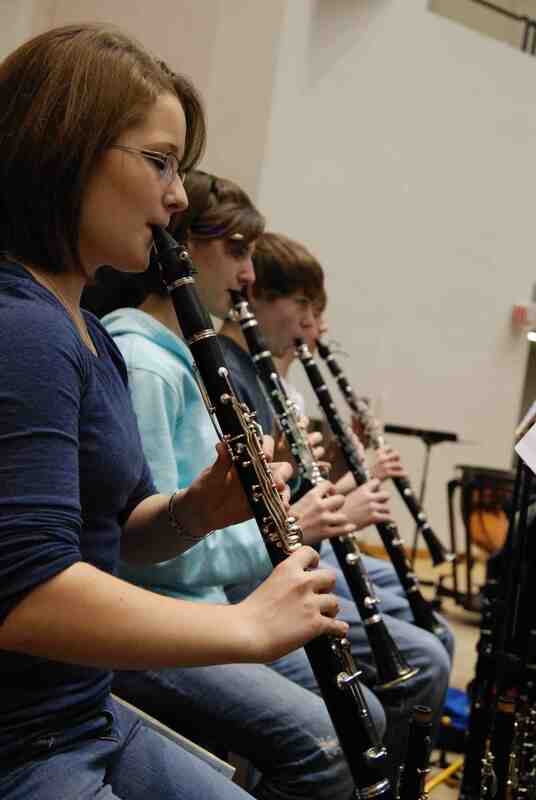 The Youth Orchestra (below) will tour to Prague, Vienna and Budapest in July 2012 and has toured to Canada, Japan, Scotland, Spain, France, Colorado, Iowa, and Washington, D.C. in the past. For more information or to RSVP, call (608) 263-3320 ext. 11. This fall, a group of young musicians from Wisconsin Youth Symphony Orchestras has established a new collaborative project with the Madison Music Makers (bel0w), a group founded in 2007 by Bonnie Greene to provide free or low-cost music lessons to economically disadvantaged children at three community centers in the area. Through this collaboration, high school age members of WYSO’s top level Youth Orchestra will serve as mentors and musical guides to the Music Makers students, modeling accomplished musical skills, inspiring continued participation in music lessons, and introducing the students to the educational opportunities available on a university campus. This project, funded in part by a grant from the Kiwanis Club of Downtown Madison, will allow both WYSO and Music Makers members to engage with each other at their respective rehearsal locations, the Mosse Humanities Building on the UW-Campus, and Centro Hispano on Madison’s south side. Music Makers members and their families will attend the Youth Orchestra’s Fall Concert on Nov. 13 as special guests of the WYSO program. For several of these children, this will be their first live concert experience. 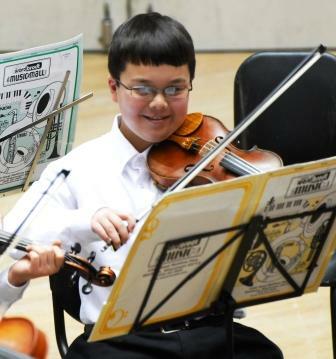 In February, advanced students of the Music Makers program will participate in an audition workshop, led by Youth Orchestra members, to help the children prepare for an audition into WYSO’s string orchestra, Sinfonietta. And The Ear says you can’t find a more deserving investment in the future of classical music than WYSO. Classical music datebook: University Opera stages Puccini’s “La Boheme” and the Wisconsin Youth Symphony Orchestras hold a music education open rehearsal as the newly re-formed Wisconsin Brass Quintet makes its debut. This is an eclectic week in Madison with lots of different kinds of events happening. But the biggest ones seem to me to be University Opera’s three performances of Puccini’s “La Boheme”; WYSO’s open rehearsal for parents and students; and the two debut performances by the newly re-formed Wisconsin Brass Quintet. 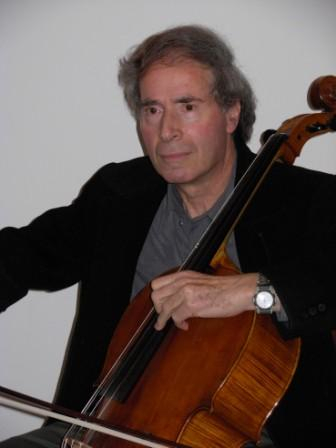 From 1 to 3 p.m. in Morphy Hall, Shmuel Magen (below) will give a public cello master class for the Guest Artist Series. Magen is a professor of cello at the Rubin Music Academy in Jerusalem. At 7:30 p.m. in Mills Hall, the UW Contemporary Chamber Ensemble (below top) will perform under artistic director and UW composer Laura Schwendinger (below bottom). No Admission. The Program features Sonatine (1995) by Olav Berg with Theresa Koenig, bassoon and Kirstin Ihde, piano; 10 Pieces by Gyorgi Ligeti with Mi-Li Chang, flute, Konstantinos Tiliakos, oboe, Laura McLaughlin, clarinet, Katie Johnson, horn and Theresa Koenig, bassoon; Via the Void (2011) by Thomas Lang with Elizabeth Lieffort, flute & piccolo, Peiyun Lee, violin, Christine Liu, viola, Emily Gruselle, cello, Jacob Bicknase and Brett Walter, percussion and Kirstin Ihde, piano; Caprice No. 5 for solo violin by Earl Kim with Mariah Schultz violin; and Sextet for Clarinet, Horn, Violin, Viola, Cello and Piano (2000) by Krzysztof Penderecki with Monica Schultz and Hazim Suhad, piano, Roy Meyer and Mariah Schultz, violin, Daniel Jacobs, viola, Brad Johnson, clarinet and Max Wollam-Fisher, cello. In Music Hall at 7:30 p.m., University Opera will perform Puccini’s “La Bohème” (below and at bottom) with William Farlow, director, and James Smith, music director and conductor of the UW Symphony Orchestra. To purchase tickets ($22 for adults, $18 for seniors and $10 for UW students), visit the Wisconsin Union Theater Box Office website or call (608) 265-ARTS (2787). 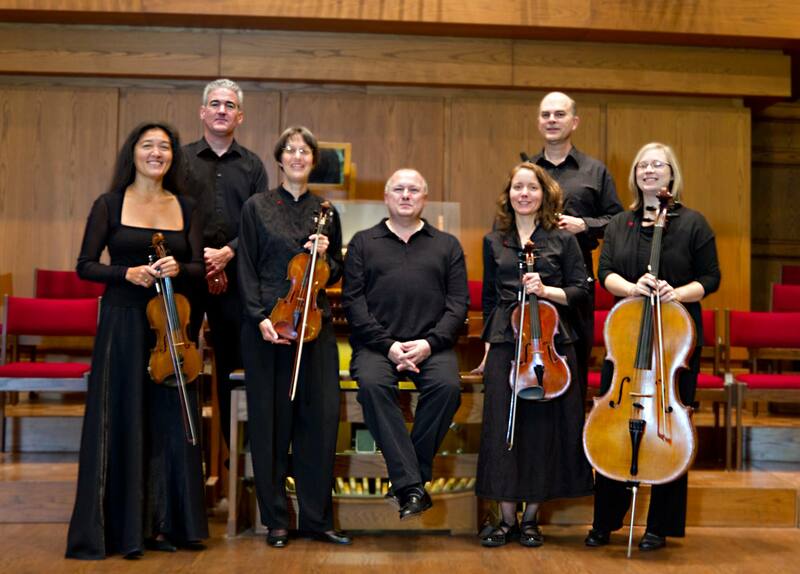 At 7:30 p.m. in the First Congregational United Church of Christ, 1609 University Ave., across from Camp Randall, the Madison chamber music group Con Vivo! (bel0w) celebrates the start of its its 10th annivesary season. The concert will feature music of Wolfgang Amadeus Mozart and a piece for solo organ by Flor Peeters entitled “Ten Studies for Pedal Playing.” The performed works by Mozart will include the String Quintet in F Major, K. 515 and the Piano and Wind Quintet in E-flat Major,K. 452. Tickets can be purchased at the door for $12 for adults and $10 for seniors and students. On Saturday morning, music students, families and teachers are invited to come and see what WYSO has to offer at the Fall Open Rehearsal. The event will begin at 10 a.m. with a meet-and-greet featuring breakfast snacks in the Strelow Lounge of the UW Mosse Humanities Building, 455 North Park St. Guests will be able to talk with WYSO staff and parents of current members, and will get a chance to tour WYSO’s four orchestras in rehearsal. After the tour, guests will have an opportunity to speak with current WYSO members in a Q&A session. Since 1966, WYSO (below) has been providing excellence in musical opportunities for more than 5,000 young people in southern Wisconsin. WYSO includes three full orchestras and a string orchestra, a chamber music program, a harp program, a percussion ensemble, and a brass choir program. The orchestras rehearse on Saturday mornings during the academic year, perform three to four public concerts per season, and tour regionally, nationally and internationally. The Youth Orchestra will tour to Prague, Vienna and Budapest in July 2012 and has toured to Canada, Japan, Scotland, Spain, France, Colorado, Iowa, and Washington, D.C. in the past. Call 608-263-3320 ext. 11 for more information or to RSVP. 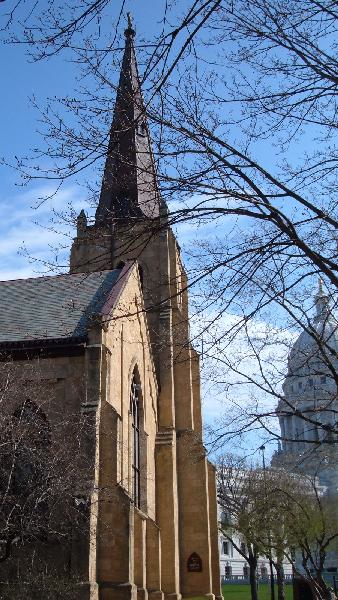 At 11:30 a.m. in Grace Episcopal Church (below) on Capitol Square, the local chapter of Classical Revolution present a free public concert by the Veldor Woodwind Quintet in recital. Now in their second year, the Veldor Woodwind Quintet is gaining a reputation for dynamic performances of standard and non-traditional woodwind quintet repertoire. 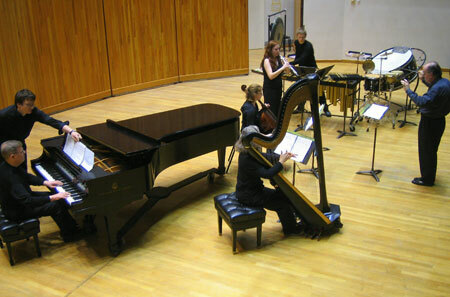 Combing performance backgrounds from the Eastman School of Music, DePaul University, Lawrence University, Luther College, and the UW-Madison, the Veldor Quintet will be performing works by Barthe, Samuel Barber, and Paquito D’Rivera. This informal concert is during the Farmer’s Market. The concert is free and open to the public. Freewill donations will be accepted. For more information, email classicalrevolutionmadison@gmail.com. At 11:55 at the Point and Eastgate cinemas, “The Met Live in HD” presents its production of Mozart’s Don Giovanni” (below). Encore performance is Nov. 16. 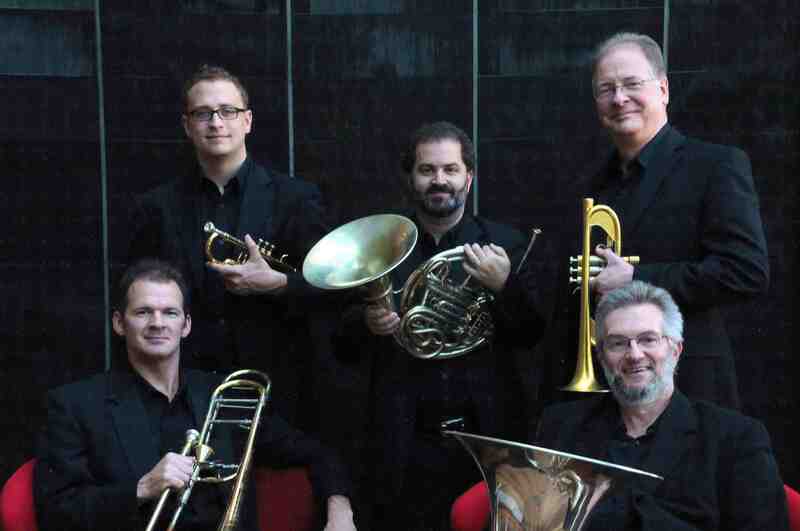 At 8 p.m. in Mills Hall, the Faculty Concert Series features the new Wisconsin Brass Quintet (below). The program includes “Chase Sequence” by James M. Stephenson (b. 1969); “Doggerel Machine” by John White (b. 1936); “Copperwave” by Joan Tower (b. 1938); and “Canzona for Ligeti” by Alan Holley (b. 1954). Free admission. “Sunday Afternoon Live from the Chazen” features the Wisconsin Brass Quintet from 12:30 to 2 p.m. in Brittingham Gallery Number III at the Chazen Museum of Art. It will be broadcast live by Wisconsin Public Radio. Founded in 1972, the Wisconsin Brass Quintet – featuring John Aley and Doug Lindsey on trumpet, new member Dan Grabois on horn, Mark Hetzler on trombone, and John Stevens on tuba – is ensemble-in-residence at the University of Wisconsin-Madison School of Music. They will be presenting a program of music by contemporary composers James Stephenson, John White, Joan Tower, Allan Holley, and the late Werner Pirchner, as well as the “Langsamer Satz” for string quartet by Anton Webern, arranged by Mark Hetzler himself. It promises to be an innovative and exciting afternoon of music making! 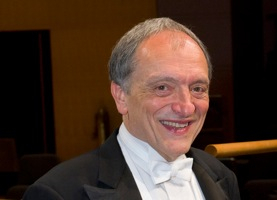 At 2:30 p.m. in Edgewood College’s St. Joseph Chapel, 1000 Edgewood College Drive, the Edgewood Chamber Orchestra will perform a concert under the direction of guest conductor David Grandis (below). Works included on the program are Mozart’s Don Giovanni Overture, Haydn’s Symphony No. 89 in F Major, Mascagni’s “Intermezzo” from “Cavalleria Rusticana” and Debussy’s “Petite Suite.” Admission is $5, with tickets available at the door. 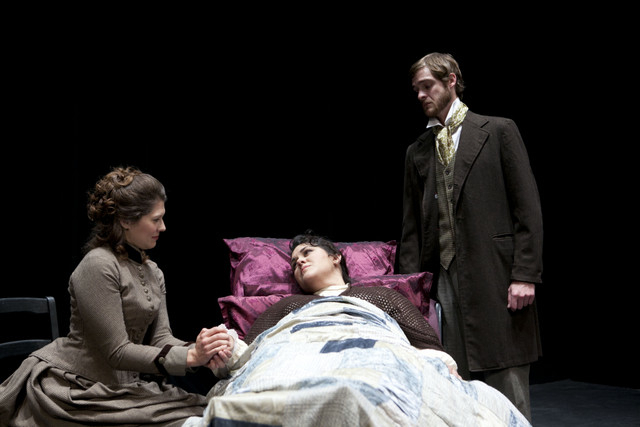 At 3 p.m.: University Opera’s production of “La Boheme. See Friday above. At 3 p.m., a Harpsichord Dedication Concert will take place at the Christ Presbyterian Church Sanctuary, 944 East Gorham St. Trevor Stephenson (below) will speak and also perform works by Purcell, Monteverdi, Schutz and others. The event is free with a reception. At 7:30 p.m. in Morphy Hall, the UW Guest Artist Series presents Katherine Lewis (below), viola and Douglas Jurs, piano. The program features two major works written in 1919 — “Sonata for Viola and Piano” by Rebecca Clarke and “Suite for Viola and Piano” by Ernest Bloch — as well as Clarke’s “Passacaglia on an Old English Tune” and Bloch’s “Meditation and Processional.” Free admission. 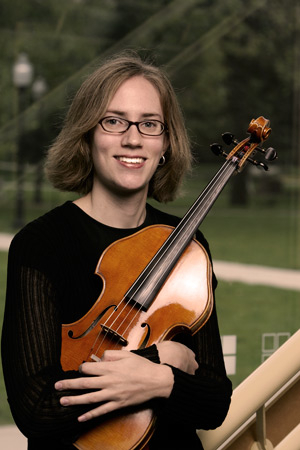 Katherine Lewis is assistant professor of viola at Illinois State University and principal violist for the Peoria Symphony, Heartland Festival Orchestra and Peoria Bach Festival Orchestra. 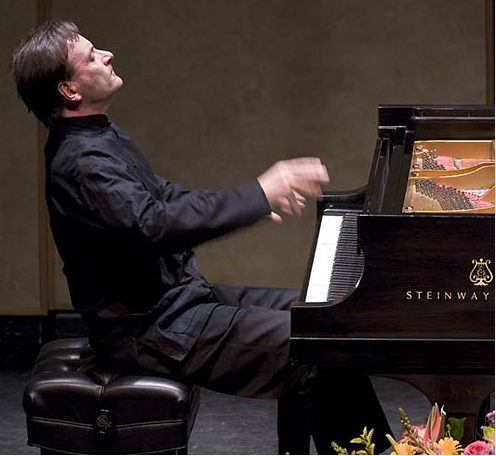 Douglas Jurs is associate lecturer in piano at UW-Madison and teaches at Edgewood College in Madison. He received the D.M.A. degree in piano performance from the UW-Madison in 2010. 7:30 p.m.: See University Opera’s production of “La Boheme” on Friday. On Wednesday, Nov. 2, at 7:30 p.m. in Mills Hall, the UW Symphony Strings, directed by graduate assistant conductor David Grandis, will perform. The program includes the Scherzo movement from “String Quartet No. 2” by Borodin, two excerpts from “Henry V” by Walton, “Prelude to the Afternoon of a Faun” by Debussy arranged by Schoenberg, and works by Honegger, Lekeu and Roussel. Free admission. 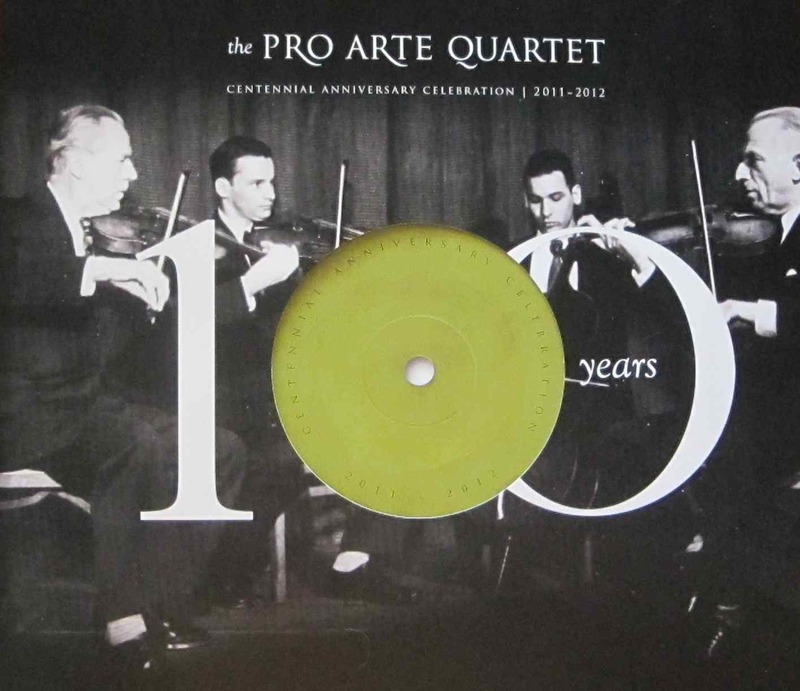 Classical music review: The UW’s Pro Arte Quartet Centennial makes history by marking history — from informative lectures on exiled artists to an outstanding concert with a world premiere. Where are the officials of the Guinness Book of World Records when you really need them? 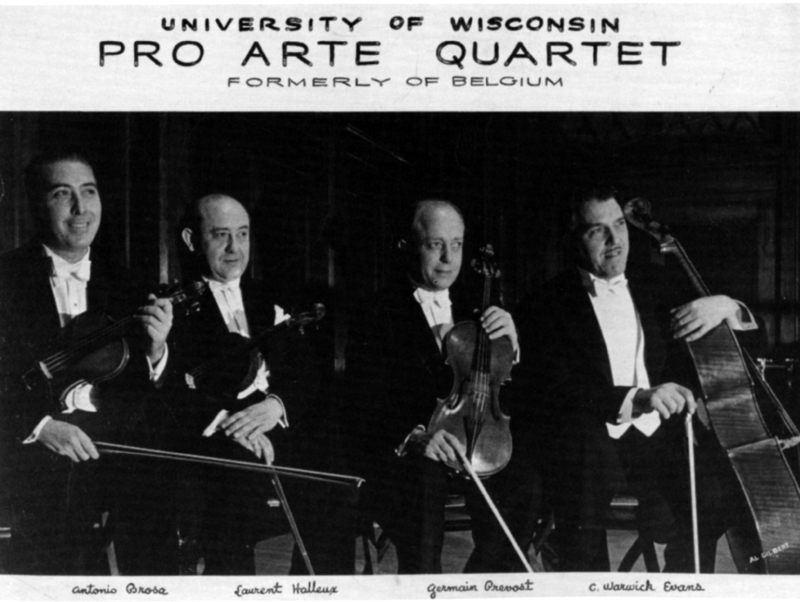 Even as a member of the centennial commission, I found myself impressed with the first events in the season-long $500,000 celebration of the world-record 100th anniversary of the University of Wisconsin’s Pro Arte Quartet (below, in a photo by Rick Langer), which was exiled in Madison in 1940 when Hitler invaded its homeland of Belgium. This past week saw lectures and open rehearsals. But the biggest events took place on Saturday afternoon and evening. 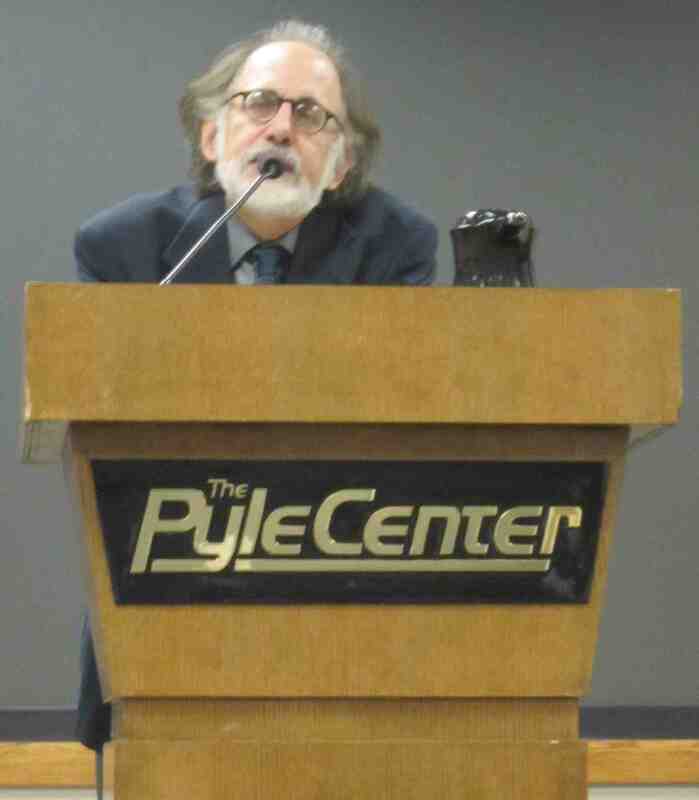 They included a guest lecture by cultural historian Joseph Horowitz; a cocktail reception and dinner; a pre-concert discussion with Horowitz and composer Walter Mays; and a memorable concert that included the world premiere of the first of the four new works commissioned by the string quartet to mark the 100th birthday – a unique event in world history. 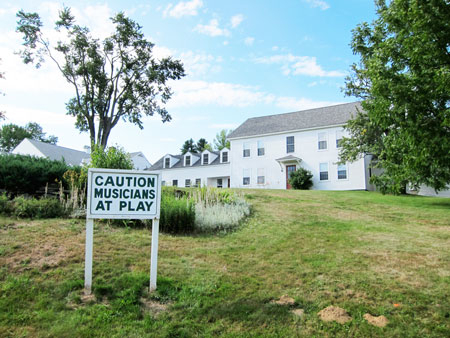 ATTENDANCE: The first of four concerts and world premieres of commissions did not draw a full house to Mills Hall; but it was close, maybe a four-fifths house from what I could see. That isn’t bad considering the event was up against the opening of the new wing of the Chazen Museum of Art; the World Series; a UW night football game broadcast on TV; and other Saturday night events. Still, the Pro Arte deserves a full house and one can hope they get it before the season is over. BROCHURE and SOUVENIR PROGRAM GUIDE: These works turned into keepsakes with a handsome design and terrific execution, all based on an old vinyl record album and its cover (below) and filled with historic photos, candid snapshots and lots of information. Even the audience recognized the quality by offering donations. It is worth coming to a concert just to get a copy of this beautiful keepsake publication. JOSEPH HOROWITZ LECTURE: A New York-based prolific writer, conductor and classical music producer/curator, Horowitz (below) discussed artists in exile and their impact on American culture. He focused specifically on Antonin Dvorak and Igor Stravinsky, and included amazing videos to show how newsreels of World War II and Longfellow’s poem “The Song of Hiawatha” profoundly influenced exiled composers, as did indigenous American cultures of the American Indian and African-American populations. 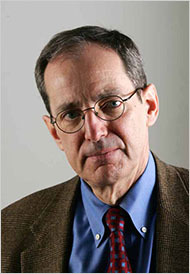 Articulate and yet accessible, Horowitz, whose talks were also part of the Wisconsin Book Festival, proved to be the model of a public intellectual with a wide range of cultural knowledge. Often his digestible analyses proved nonetheless revelatory. We would be lucky to have him back again soon and often. 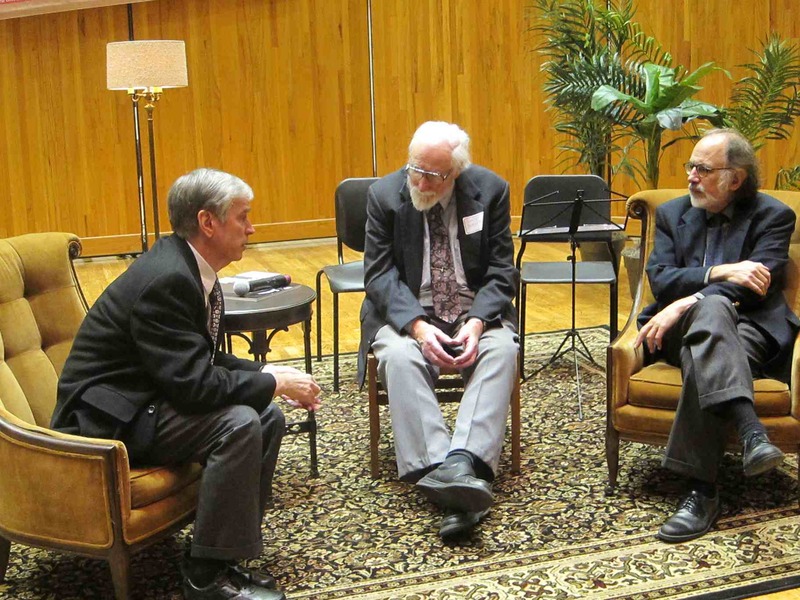 PRE-CONCERT CONVERSATION: Local critic John W. Barker, who writes mostly for Isthmus but also for this blog, moderated a discussion with composer Walter Mays (below left) and cultural historian Joseph Horowitz (below right). Mays was especially incisive in talking about classical music’s “ Cold War’ between tonality and 12-tone or atonality, and how eclectic has come to be desirable. The unusual Mills hall stage setting, warmed up with a rug, potted plants and a standing floor lamp, added to the intimacy. THE FREE CONCERT: All else, of course, could be and should be viewed as a prelude to the concert. 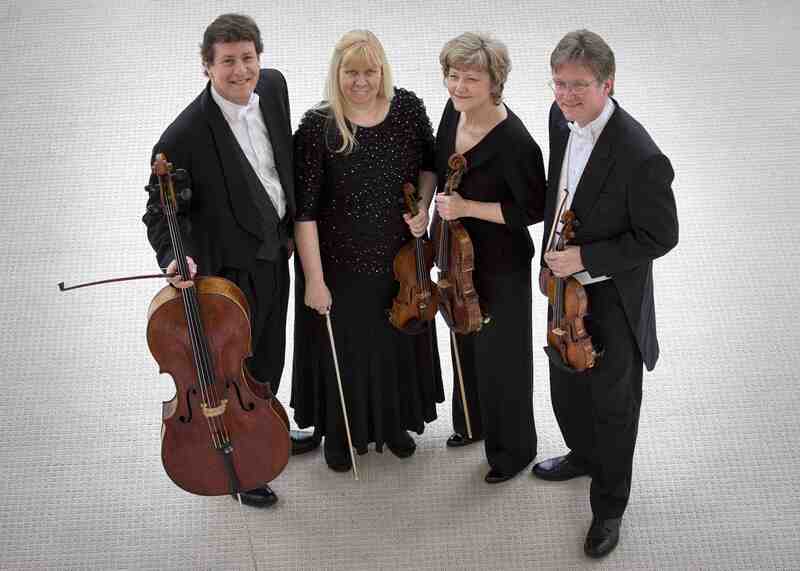 In microcosm, it traced the history of the Pro Arte Quartet (below), which has long-established a reputation both for performing classic works and for championing contemporary works. So it opened with a rarely heard and unjustly neglected short Prelude for String Quartet ( 1928) by Ernest Bloch. That was followed by a riveting performance of Samuel Barber’ String Quartet in B Minor, op. 11. Few people know that the slow movement – the basis of the famous and frequently heard “Adagio for Strings” – was given its world premiere in Rome in 1936 by the Pro Arte. And they did it full justice. Frankly, if you take away that movement, the string quartet hardly seems a masterpiece. But with that movement, it becomes undeniably universal. And curiously, I found the original form of the Adagio, with just the four instruments, more intimate, clear and moving — but less tear-jerky — than the more familiar orchestrated version Toscanini commissioned and premiered in 1938. 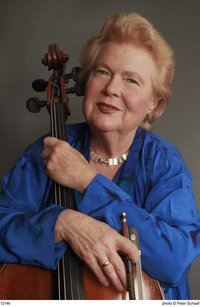 After intermission, the second half of the concert was devoted to a single work: Schubert’s profoundly beautiful and ethereal Cello Quintet (1828), in which Juilliard faculty member Bonnie Hampton (below) joined the pro Arte. 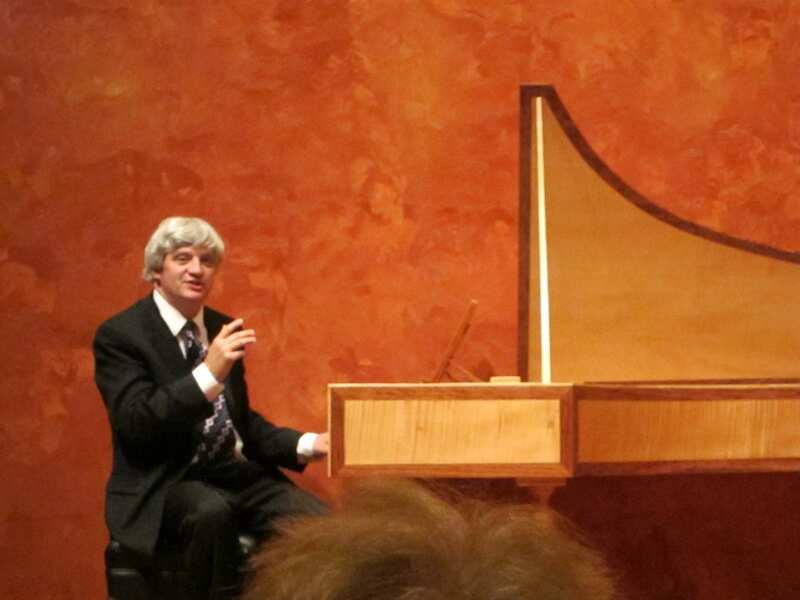 It was by turns lyrical and forceful, with Hampton and Pro Arte cellist Parry Karp clearly connecting. “I am prepared to argue it is the single best piece of chamber music ever composed,” one deeply knowledgeable critic, John W. Barker, remarked to me. And I am prepared to accept his argument without much convincing. But after the Barber and before the Schubert came the main attraction, the news-making event. Whether you buy into the Taoist program or not, the work proved appealingly eclectic and accessible. It is, I find, more effective than deep. But it has its charm, a certain scherzo-like lightness that I find almost Mendelssohn-like. Moreover, the way Mays blended tonality and 12-tone approaches, he created a kind of fusion music with distinctly Asian sounds. At times the music drifted and needed a melody to anchor it – I am an unabashed fan of tunes who thinks long-lasting music usually has a memorable melody. It could also have used more of a overarching line or forward momentum to give it unity. I think of the way Beethoven uses trills in his “Cockcrow” Violin Sonata No. 10 as an example of how to mix etude-like special effects on strings (glissandos, falsettos and trills) to a more musical effect. On the other hand, its kind of Neo-Impressionism combined with its jumping back and forth reminded one of Debussy, a master of cross-cultural sounds. Despite its length, Mays’ quartet was easy music to listen to but hard music to play, and you can tell by their easy virtuosity that the Pro Arte rehearses every weekday from 9 a.m. to noon. My crystal ball doesn’t tell me whether this work will have legs to get repeated performances in the future, though I have my doubts. But it was an effective and enjoyable opener that brought cheers and a standing ovation from the audience. All in all, the several days’ events whetted one’s appetite for the next concert commission and centennial events, which will feature a new Piano Quintet “Three Rhapsodies” by Paul Schoenfield (coupled with Beethoven’s Op. 131 masterpiece and Shostakovich’s Quartet No. 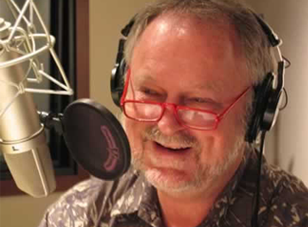 4) as well as a lecture by Bill McGlaughlin, host of the popular “Exploring Music” program on Wisconsin Public Radio. Those events take place Nov. 14-20. 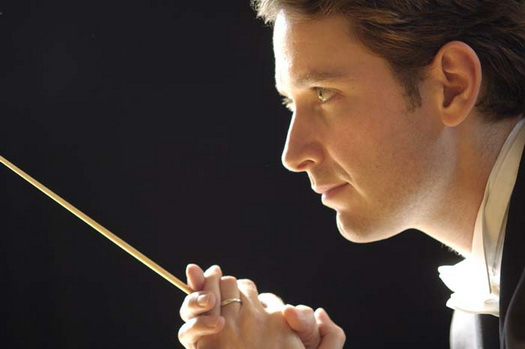 Whenever he is in town and conducting, a lot of attention deservedly goes to John DeMain (below, in a photo by James Gill), the music director of the Madison Symphony Orchestra and the Madison Opera. But it is easy to forget that Madison has a musician with a national and international reputation, known especially for conducting opera. And it is good to be reminded of the top talent we have here in our midst, for 18 years now, but which we sometimes take for granted. So The Ear thought it would be a good idea to check in and see what the critics said about DeMain and his new production of Verdi’s iconic and popular but problematical and difficult-to-stage “Aida” that he conducted and took on tour to Norfolk and Fairfax for the Virginia Opera, based in Richmond, which also featured the Richmond Ballet. After all, that is where the jet-setting DeMain went right after he opened the MSO season with its 9/11 commemoration featuring works by John Adams, Grieg and Beethoven; and where he was when, for the second MSO concert of the season, the St. Louis Symphony Orchestra’s Resident Conductor Ward Stare came to guest conduct the last program with Rossini, Lalo and Sibelius. That was a fine performance. But somehow, I think we grant liberties, license and the benefit of the doubt to an out-of-town guest more than to a veteran resident. 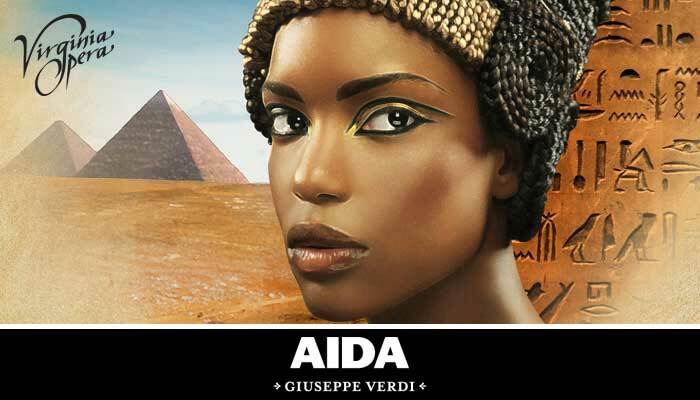 In the meantime, we have to ask: So how did Maestro DeMain do with the Virginia Opera’s “Aida”? Clearly, DeMain did himself and the Virginia Opera proud. Which is to say he also did Madison proud. 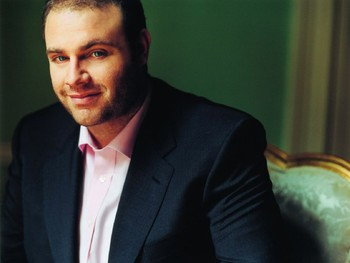 Classical music review: Is Joseph Calleja — “The Maltese Tenor” — the next Pavarotti? So it seems a good time to talk about –what else? — opera. 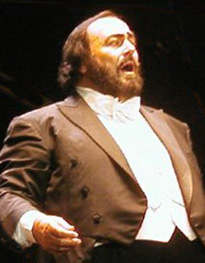 Ever since famed Italian tenor Luciano Pavarotti (below) fell ill and then died, the opera world has been wondering who will be The Next Pavarotti. Being named The Successor to such a superstar seems, at times, like the kiss of death or the curse of King Tut. 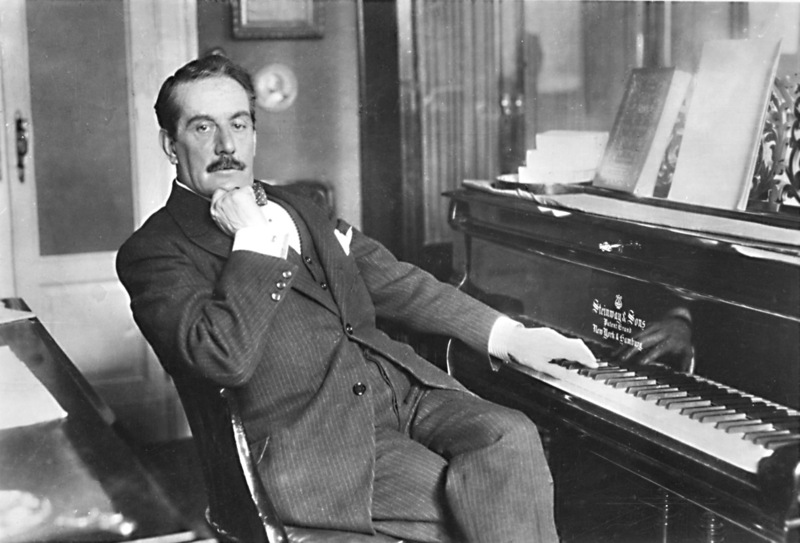 First, there was Salvatore Licitra (below), who actually substituted for Pavarotti at the Metropolitan Opera and elsewhere to critical acclaim. His career started to take off, but the shadow of Pavarotti seemed to haunt him and disappoint his listeners. He needed to be himself. Then, alas, he died last month at age 43 after a motorbike accident in Sicily. 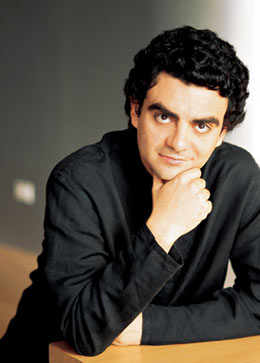 Then there was the Mexican tenor Rolando Villazon (below). He too sounded very promising. But his career got ahead of him. He hurt his voice and apparently experienced some emotional, nervous or mental problems while coping with his accelerated career. You don’t hear a lot about his these days, though one hopes that will change for the better. 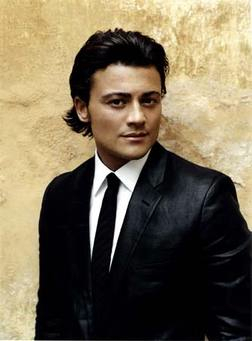 The latest is Vittorio Grigolo (below), an Italian who is movie handsome (unlike Pavarotti) and who seems bold with the singing and acting talent to go with his looks. But it really is too early to tell. Even Pavarotti wasn’t Pavarotti this early in his career. Besides, Grigolo strikes me more as an Ezio Pinza or Mario Lanza type, which is no small achievement. 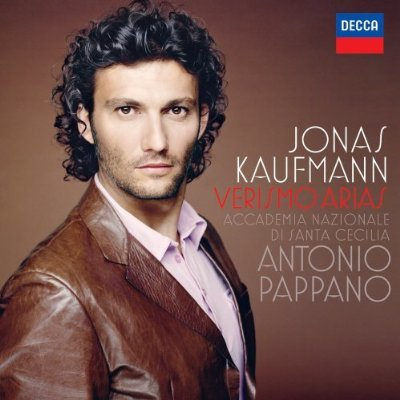 If you are looking for me to name Jonas Kaufmann (below), the young German tenor, you will be disappointed, I think he may well be the single most important tenor voice to emerge in the past 20 years, or more, after Pavarotti and Domingo. But his specialty is not the Italian lyrical style and “verismo” repertoire, though he can sing it just fine, as his latest solo CD demonstrates. He is fabulous at everything, singing and acting. 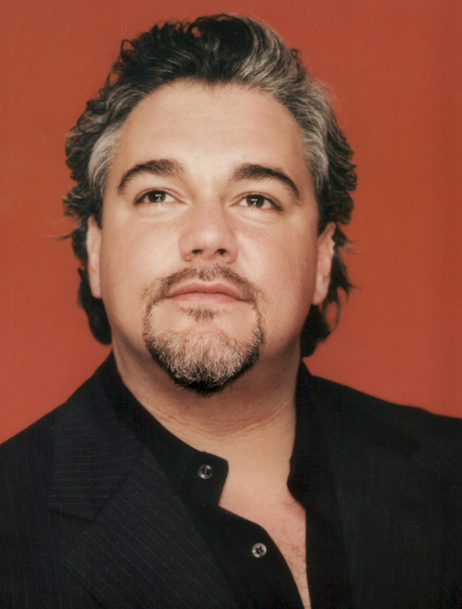 But it is especially Wagner and meatier German roles that show him off to his best advantage. At this point, I have no way of predicting where his career will go. But on the basis of his latest album from Decca – his fourth (below), proving that he is no upstart — he has the necessary magic in his voice. When he sings the opening track, from “La Boheme,” I get the kind of goose bumps that only Pavarotti – not even Placido Domingo – can give me in the greatest arias by Puccini, Verdi and others. I think the NPR classical blog meister (check out “Deceptive Cadence”) Tom Huizenga puts his finger on it when he talks about the quality of Calleja’s old-fashioned but deeply appealing vibrato and how it takes us back to the Golden Age of great tenors, including Caruso and Bjoerling. 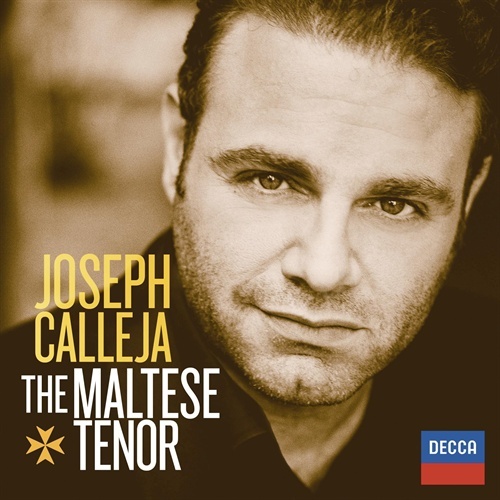 But it also has to do, as it did with Pavarotti, with the tonal quality and effortless ease Calleja shows in the high note range where, I am convinced, our human nervous system is programmed to respond in an almost an emotional, almost bestial way. That is where tenors break your heart and bring tears to your eyes. Anyway, here is a link to Huizinga’s outstanding review that features several sample tracks so you can see if he has The Right Stuff. Listen for yourself to his work (including a Pavarotti trademark aria, at bottom). Decide if you like him and what he does to you. Then tell me what you think of The Maltese tenor. And whether you think he might indeed be The Next Pavarotti? 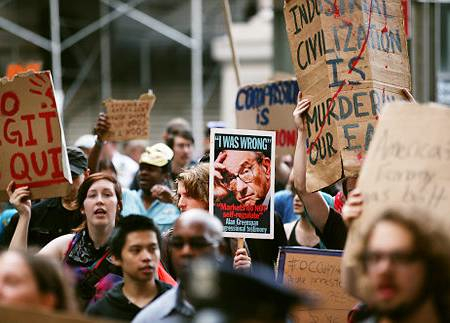 Classical music poll: Beethoven’s “Egmont” Overture be a good classical music anthem for the Occupy Wall Street movement? Can you think of others? 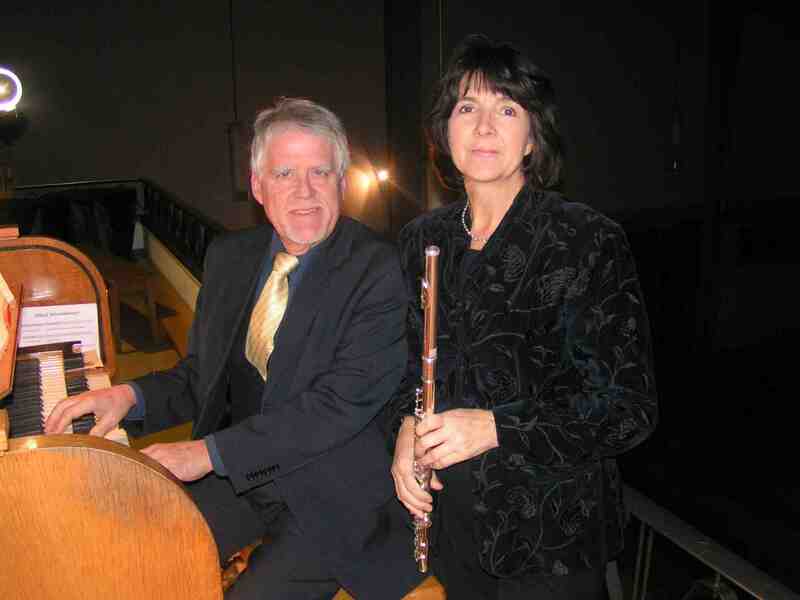 An ALERT and a REMINDER: First, an alert to an event that slipped through my weekly roundup: on this Sunday from 2 to 3 p.m. at the Grace Episcopal Church on the Capitol Square downtown, Classical Revolution will present flutist Verena Steffen and organist Olivier Eisenmann (below). They will perform a free concert of music by Handel, Hummel, Mozart and others. 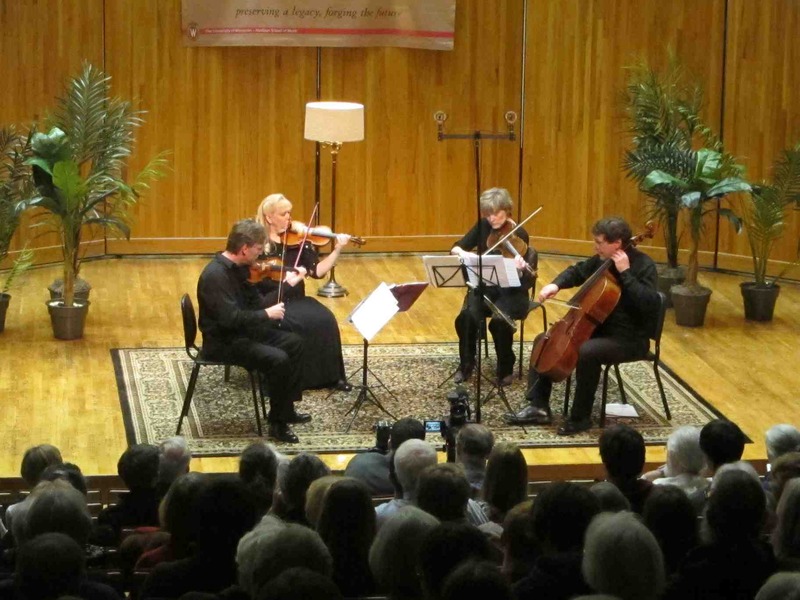 Also: Tonight, at 8 p.m. in Mills Hall, is the historic opening concert of the centennial celebration of the Pro Arte String Quartet (below, in a photo by Rick Langer). It features Schubert’s Cello Quintet, Bloch’s Prelude, Samuel Barber’s String Quartet (with the famous “Adagio for Strings” slow movement) plus the world premiere of Walter Mays’ String Quartet No. 2. 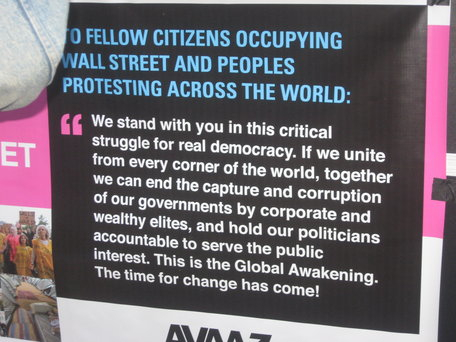 There is a lot to like about the Occupy Wall Street movement, which has now spread worldwide and shows no sign of slowing. It certainly seems like a good Western response to the Arab Spring in that it challenges authoritarian powers and seeks to establish a more equitable or fairer democracy in populist economic terms – something Martin Luther King Jr., championed as an underpinning of civil rights and human rights at the end of his life. The demonstrators have also proven quite responsible from what I can see. True, there are scattered reports of violence. But by and large, the IOcupiers, of all ages from college youth to unemployed older persons, seem well behaved and cooperate with authorities. It would be good, I think, for the movement to have a theme or anthem that is identifiable with them – something like “We Shall Overcome” was to the civil rights movement. But they don’t have an anthem, as a recent story in The New York Times pointed out. But the story got me thinking. Any protest anthem is most likely to come from folk or pop or rock or gospel music, especially if it has appropriate lyrics. Indeed, I even think that if economic equality is part of democracy, then recycling “We Shall Overcome” would be entirely appropriate to use again in this civil rights-human rights-economic rights campaign. 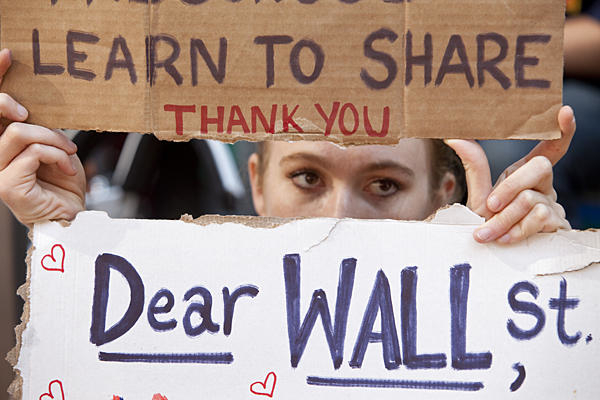 But, I wondered, what classical music would be a good and appropriate choice for the Occupy Wall Street movement? 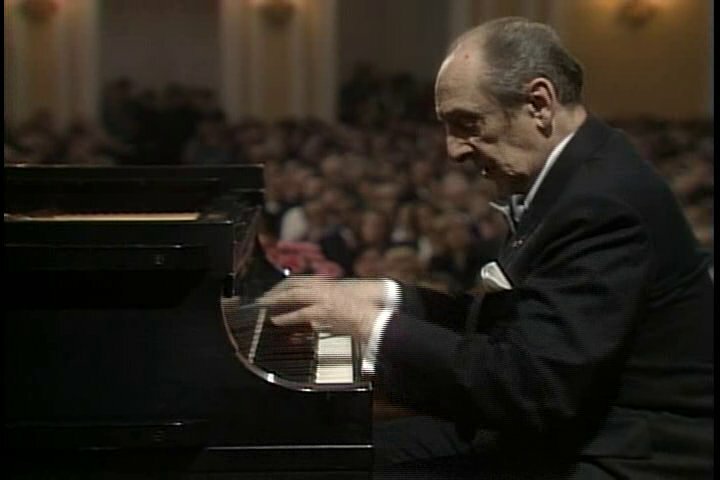 There are various works, including the “Heroic” Polonaise theme of Chopin, the main theme of which was broadcast on the radio until Warsaw fell to the Nazis. 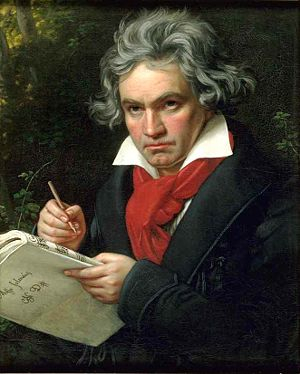 But I kept thinking of Beethoven, partially because Beethoven (below) was such a champion of 19th-century democracy in politics and was so deeply and personally disillusioned when Napoleon abandoned his democratic ideals following the French Revolution. So the piece that came to mind is Beethoven’s “Egmont” Overture (at the end), which starts sad and ends in joyous victory, and which has a final theme that could be used by the Occupy Wall Street movement. 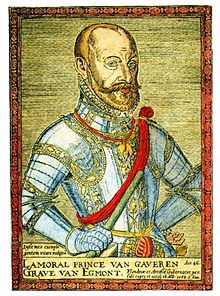 Based on a play by Goethe, the story or program of “Egmont is a story of occupation and liberation, resistance and rebellion, centering on the historical figure of Count Egmont (below). You can check out the piece on Wikipedia and learn more. 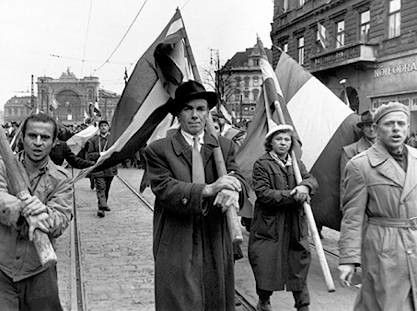 You should also know that the work served as the unofficial anthem of the 1956 Hungarian Revolution (below). That is another good qualification, especially if you view the banking world as a closed, secretive, selfish and ruthless entity, as a Kremlin of sorts. What piece of classical music would you see as a possible anthem for the growing protest movement?